The wine was introduced in Greece at around 4000 BC. Evidence can be found on Minoan and Mycenaean artifacts, which were two of the brightest ancient Greek civilizations. 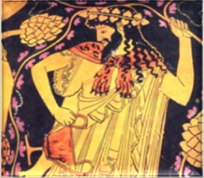 Ancient Greeks treated wine as a gift given to the people from gods and that is why they worshiped God Dionysus the god of the grape harvest, winemaking and wine. Festivals honoring Dionysus were taking place in winter and were celebrated by performing arts and wine drinking. Vineyards, grapes and wine drinking festivities were painted on hundreds of ancient Greek artifacts of clay, marble and metal. 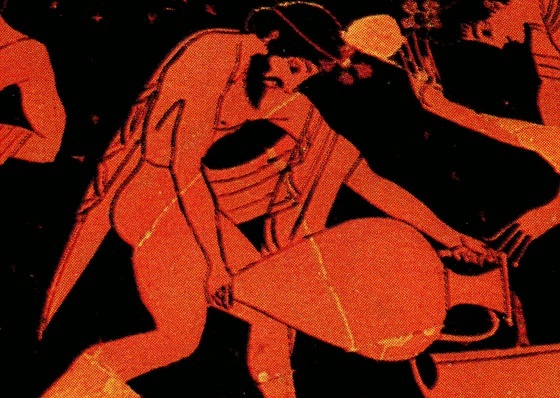 During Homer times, wine cultivation was part of Greece's agriculture. It is evident that wine was a drink for old and young Greeks. Tradition says that infant Achilles was given wine with his meals. 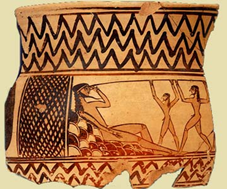 Even Odysseus during his quest to return home used wine to gain control over Polyphemus by getting him drunk and blinding him afterwards. 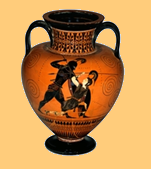 Greeks stored a nd transported wines in airtight, ceramic vessels called amphorae. They also used a labeling system close to the one we have today. The amphorae had various shapes with two handles, and they were used to signify the city that produced and traded the particular wine. The amphorae had an inscription with the year of production and both handles were used to place the wine-makers stamp on one and the local ruler's stamp on the other. Also, the storage in amphorae had its benefits because it allowed them to store wine for long periods thus creating brilliant aged vintage wines. During the early Roman times Greeks introduced grape viticulture to Sicily in south Italy. As time went by and the tradition was handed down from father to son, the methods of wine cultivation improved. They used herbs and spices t o preserve and flavor their wines and made them well known to the ancient world. It is not an exaggeration to say that Greece was back then, what France is today, in wines.